The Scientist started off his works back in the 1970's at the studio of King Tubby. It's as close as you can get to being an active participant in the establishment of Dub as we still know it today, decades later. He often used Tubby's equipment in the titles presented in this podcast, mixed non-stop by Messian Dread. It's clear that the Scientist showed some of the most creative talents around in that time. 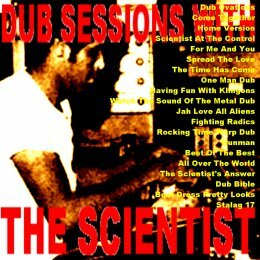 Dub Sessions With The Scientist mainly contains some lesser known works, all of which are available as free download or even better: a little teaser to the extremely versatile catalogue of the Scientist himself. Links are available at the Dubroom's MP3 page on the Scientist, where you can find music and reviews galore.